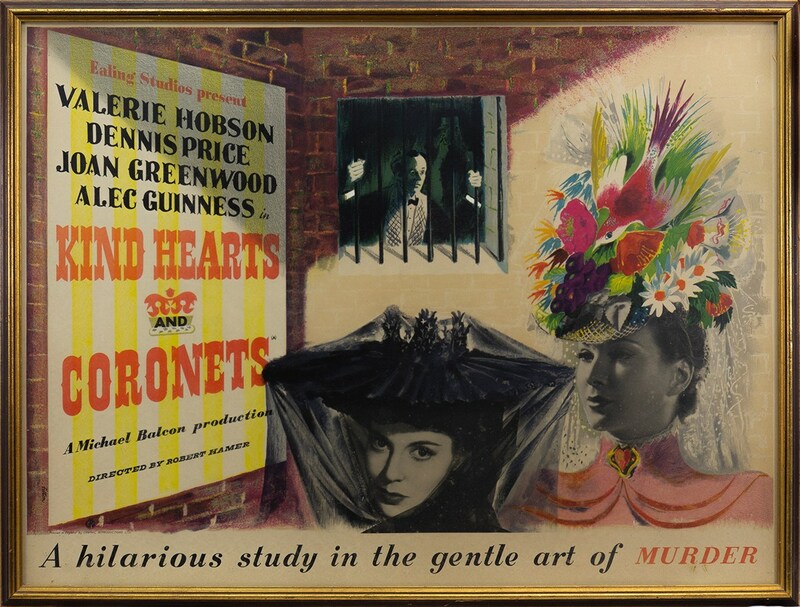 A poster for British film Kind Hearts and Coronets (lot 1665) by English artist James Fitton RA (1899–1982) was certainly one of the highlights of the Works of Art, Medals, Militaria and Furniture auction at McTear’s on Friday 12 October. The imposing poster sold for more than twice the high estimate, selling online to a London based buyer for £1,100. Given the popularity of the film, it is unsurprising that competition was fierce when the poster went under the hammer. The dark comedy film was released in June 1949 in the United Kingdom, and was especially well received by critics, since becoming a British film classic. In fact, Kind Hearts and Coronets charted at a notable number 6 in a rating of the top 100 British films by the British Film Institute in 1999. This was not the only poster which performed well on Friday morning. A large poster for British 1962 sci-fi film The Day of the Triffids, which featured at lot 1738, achieved a hammer price of £160. The Works of Art, Medals, Militaria & Furniture Auction takes places every six weeks. Entries are invited for the next auction, taking place on 23rd November. Come along to the Valuation Days at McTear’s on Tuesday, Wednesday and Thursday this week for complimentary auction advice.